ORDINARY MOMMY DESIGN: Nine Years of that Perfect Imperfection. Nine Years of that Perfect Imperfection. 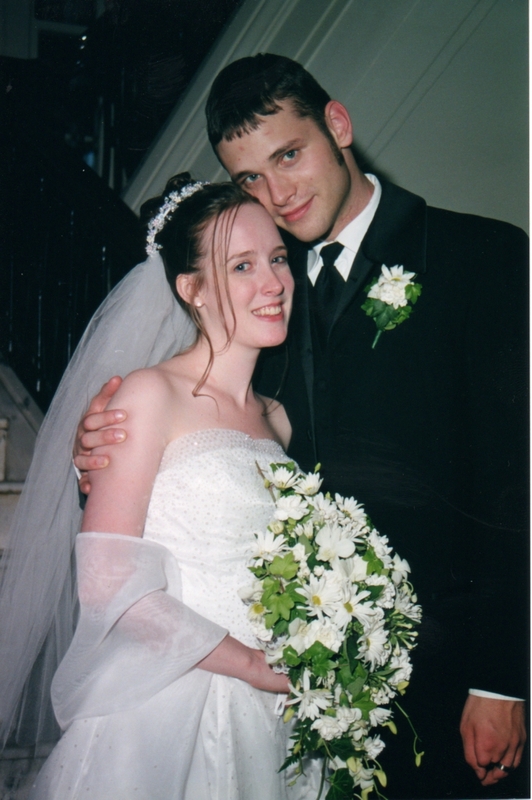 Nine years ago today, I said "I do" to the best friend I ever had. Whenever someone's anniversary rolls around I always see posts saying something like, "It's been five years of complete, total , and utter bliss! I love you so-and-so!" And I think to myself, are you for real? Neither my husband or myself are perfect. We've certainly had our rough spots. But we also have God's grace in our lives. So while I can't say that it's been nine years of perfect happiness, I can say that we've grown, as individuals and as a couple, and I do love my husband more today than I did last year. And I expect to love him even more next year than I do right now. Thanks to you, I have learned many interesting things. I hope to learn still. I congratulate you for this wonderful sharing. Keep going !